Mick Green is the son of Fred Green, for whom Green Square is named. 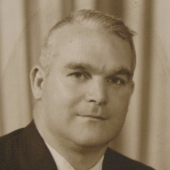 Fred Green was a Labor MP and Mayor of Alexandria. 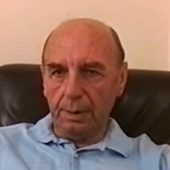 In this interview Mick describes his childhood and working class life and politics in South Sydney in the 1930s and ’40s. In the excerpt below he discusses his parents’ affection for their children and the impact the Great Depression had on family life. My father has never hit one of us in his life. Didn’t have to. We respected him. Most times he wasn’t stern; he was a very dry-witted man and he gained the respect – well, he gained the respect of everybody in this area – but he certainly gained the respect of his children without violence of any description. And my mother, all she wanted to do was hold you and hug you. But all the time they were worried: there was no money: very difficult, very difficult. He was the mayor of this area on three occasions and he couldn’t get work himself. He was originally – his father lived in – had a big building in Botany Road in Beaconsfield down here a little, and they had horses and carts and drays and that type of thing and my father in his earlier life was a brick carter. He’d cart bricks from the brickworks, which was only up here in Waterloo, to places like Maroubra that were being built, but when the Depression came the building stopped and he just could not get work. I think he was out of work for over five years.